Owner: D. Vrieswijk, Damwoude (NL). 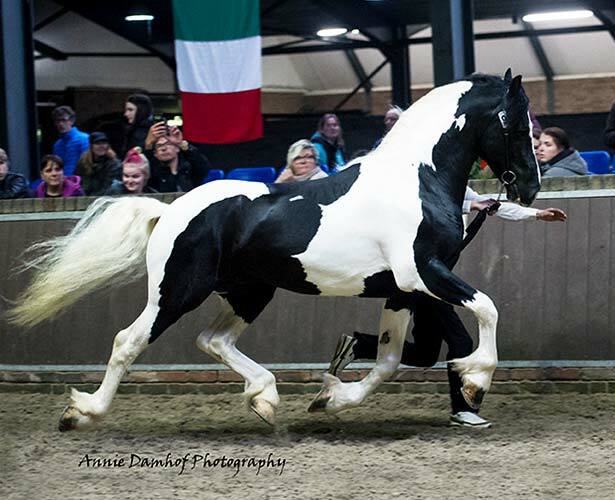 Trained under saddle and in caririge. Bond falls in the higher price range. Reserve Champion 2017 Barock Pinto Studbook.